BRIGHT Rubber stripper rings are available up to 30" outside diameter. The two most common materials are Buna N (Nitrile) and Urethane, both cast & millable. Neoprene was once the workhorse of the industry and although still available, it has been replaced by Buna N in most slitting applications. Cut sizes are available from a full 36" sleeve for those who cut their own down to .062" thick for most sizes, down to .032" for smaller OD sizes. In most cases the male sets are 80/85 durometer and the females are dual durometer with a 90 durometer black ID and 60/65 durometer OD. All colors are available. With an aim to get the maximum satisfaction of our clients, we are offering a comprehensive range of HR Slitting Rubber Spacers. Our offered spacers are widely known and appreciated for their high durability and superior quality. 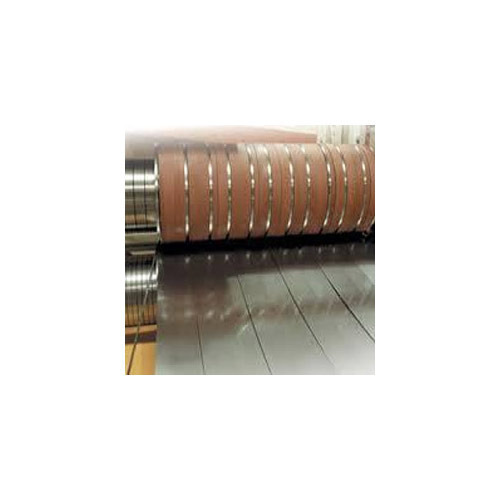 These spacers are precisely engineered as per the client’s needs and requirements maintaining the industry standards. We are offering these spacers in various customized options to meet the variegated demands of our clients. We manufacture, supply and export premium range of high quality long lasting Slitting Machine Rubber for industrial usage at reasonable cost. We manufacture, supply and export premium range of high quality long lasting SS Coil Slitting Rubber for industrial usage at reasonable cost. 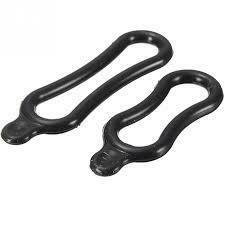 Available in various thickness, sizes and other specifications, we are able to offer our clients with an extensive range of HR Coil Slitter Rubber Ring - standard or as per custom requirement, with different types of materials. We manufacture, supply and export premium range of high quality long lasting O Rings. Available in various thickness, sizes and other specifications, we are able to offer our clients with an extensive range of CR Coil Slitter Rubber Ring - standard or as per custom requirement, with different types of materials. We manufacture, supply and export premium range of high quality long lasting O Rings. We manufacture Dress Rubber rings for costumes. 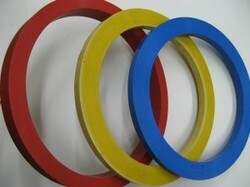 Looking for “SLITTER RUBBER RINGS”?